Non Residence Tax & Fiscal Representation. | Finding Solutions for the Expat Community. ← The new certificate for altering deeds abolished. There has been a lot of publicity and questions about the tax upon owners of homes who do not live inSpain. 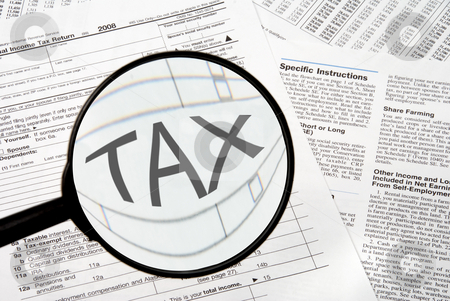 There is some confusion as to weather this tax is included in the rates tax which it is not. *Local Taxes (Council Tax, IBI) these are the rates. These taxes are paid directly to your Town Hall or via the SUMA offices. They are a form of Council Tax or property rates. Often this tax is referred to as income tax or property income tax which can lead to some confusion as it can be thought that if you don’t have an income inSpainthen I don’t have to or should not have to pay it. The non resident tax it a tax for the possibility of using your property for a rental income. You have to pay it if you rent your property out or not. These taxes are paid to the Agencia Tributaria (Tax Authority- Hacienda). They are an income tax on your property. You must pay non residence tax whether you rent out your property or not. This means that all Spanish holiday home owners should be paying at least 2 taxes. If you try to avoid these there will be a sanction levied against you which will increase the amount to be paid. In this area it is worked out buy 1.1% of the rateable value, then 24% of that amount. You can find the rateable value on the rates bill; it is normally quite lower than what was paid for the property when purchased. The form once filled in, needs to be taken to the bank, pay the tax. If you are officially resident inSpainyou do not have to pay this tax and you do not need a fiscal representative. The form is quite complicated if you do not understand Spanish (and even if you do). You can appoint a fiscal representative (which is a requirement) who can be anyone that can fill the forms in for you and make the payment on your behalf. A Fiscal Representative must be resident inSpain. The tax authorities will send all correspondence relating to your tax affairs inSpaindirectly to your Fiscal Representative. Appointing a Fiscal Representative will ensure that the Spanish tax authorities has a point of contact, so that unnecessary debts or fines can be avoided. The tax office will not send notifications outside ofSpain. For the individual owner, appointment of a Fiscal Representative is relatively straightforward, requiring the completion of a written Authority nominating the Fiscal Representative and payment of the required fee. The Spanish Tax Authority have sent out letters to over 300,000 owners of Spanish property who have not made a Spanish tax declaration in 2007, 2008 and 2009. The letter is notification that non-residents who do not make the annual declaration should rectify this in order to avoid further investigation taking place. Non-residents should be aware that letters will be delivered to their property in Spainand that the deadline for non-resident tax declarations is December 31st .So the tax for 2011 needs to be paid by 31 st of December 2012. If the tax is not paid by the deadline then there will a sanction. This entry was posted in Non Residence Tax and tagged avoid fines., british community, fines, Fiscal Representation, Non Residence Tax, rates office, Suma, Tax. Bookmark the permalink. 2 Responses to Non Residence Tax & Fiscal Representation. Am I right, that the procedure how to pay the rental tax has change this year, ie you can only pay it online? You can fill in the forms on line but it is not possable yet to pay on line.